Robbie Williams has admitted the Gallagher brothers ditched him in the 90s because he wasn’t “mod” enough for their tastes. Robbie Williams has admitted his friendship with the Oasis brothers Noel and Liam Gallagher in the 90s was short-lived because he wasn’t cool enough for them. Speaking to The Sun, Robbie said: “Lad culture was a massive, massive thing. I love Oasis. I was a big fan of their music, vibe and energy. However, the singer has nothing but praise for Oasis. 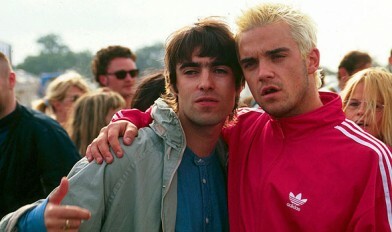 Robbie added: “Liam’s voice was the voice of a generation and Noel seemed to be writing the songs of a generation. They were our Beatles for around 18 months.